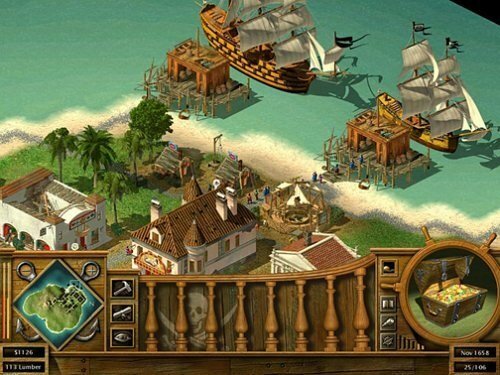 Tropico 2: Pirate Cove takes a different direction to other games in the Tropico series but still features all of the core mechanics that make the city building experience so enjoyable and popular. Unlike the original Tropico game players will be running their own pirate island and take on the role of the pirate king. This role means you’ll have to carefully manage your reckless pirates and construction on your island while capturing the thing pirates love above all else, treasure. Tropico 2 lets you either play the game through the campaign or use the sandbox mode. Within the sandbox mode there are a huge number of options to change which alters the difficulty or changes the flow of the game. Sandbox options include choosing your island, the map size, game length, how hilly your island is and the number of resources available. On top of these basic options players can choose to alter the victory conditions, the stability of their island and traits which give their island an advantage which changes your starting resources and other early elements that can alter difficulty drastically. Finally, players can choose a pirate character to start with which all come with their stats. The game revolves around meeting the needs of your pirates (basically food, rum and smoking) and just like in the original game to stay in power. This is done by using captives which can come to your island through shipwrecks or raids. These captives create all construction and production and are able to assume multiple roles from lumberjack to farmer and blacksmith. To keep your captives from escaping and performing at their best they require order on the island while pirates prefer anarchy. This creates a difficult meta game balance between the two which is one of the hardest game mechanics to master, providing a great challenge to players. 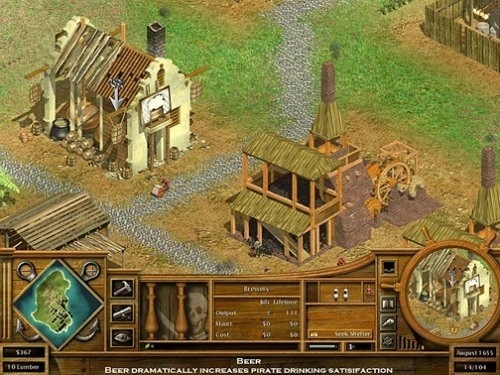 The shift of game setting was an interesting choice for the Tropico series but the pirate theme is just as enjoyable as the original and offers the same level of depth you’ve come to expect. Play as the pirate king and manage your own island. Keep the pirates and your captives happy to stay in charge. Plenty of buildings to build on your island. Carefully manage your anarchy and order. Raid other islands or become allies in this pirate world.